Malaria is a potentially life-threatening disease that affects millions worldwide, especially in Sub-Saharan Africa. The recent emergence and spread of multidrug resistance in parts of Southeast Asia prompts the urgent need for novel and effective therapy against the disease. 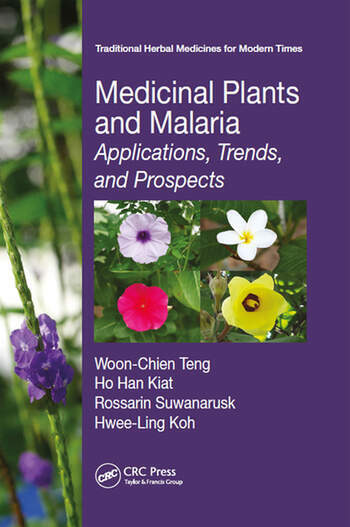 Medicinal Plants and Malaria: Applications, Trends, and Prospects highlights the therapeutic potential of plants for treating malaria. It collates useful information on malaria, current prevention and treatment, and scientific research carried out. 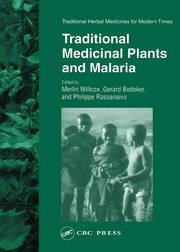 This up-to-date book details the medicinal plant species used in treating malaria and describes the plant parts used, methods of preparation, and doses where available. 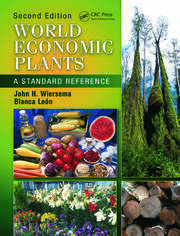 The book begins with a brief introduction of malaria, and covers its epidemiology and implications on public health, the life cycle of Plasmodium parasites, clinical presentation of the disease, currently available antimalarial drugs and their roles in therapy, and medicinal plants used for malaria, including those that are currently in clinical use in various countries. It discusses the latest findings from ethnobotanical research, the challenges and isolation of antiplasmodial phytochemicals from medicinal plants, and the results from clinical trials and public health interventions using medicinal plants. 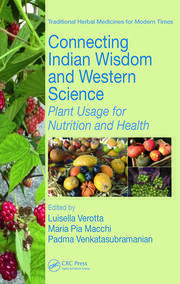 This book has something for everyone, serving as a vital resource for students, teachers, healthcare professionals, and researchers interested in medicinal plants and promising antimalarial preparations. It will also appeal to those in the general public who are interested in herbal medicine and how plants can be used to prevent and treat malaria. Woon-Chien Teng is a PhD candidate in the Department of Pharmacy, National University of Singapore (NUS). She graduated with a BSc (Pharmacy) (Honors) from NUS. Teng is also a registered pharmacist with the Singapore Pharmacy Council. She has previously worked as a pharmacist at Changi General Hospital, Singapore and as a preregistration pharmacist at Kandang Kerbau Women’s and Children’s Hospital, Singapore. Ho Han Kiat is an Associate Professor at the Department of Pharmacy, National University of Singapore (NUS). He received his BSc (Pharmacy) with first class honors from NUS in 2000. Subsequently, he obtained his PhD in medicinal chemistry from the University of Washington in 2005, investigating the molecular mechanisms of specific drug-induced liver toxicity. After that, he returned to Singapore for a 3-year postdoctoral fellowship investigating the roles of tyrosine kinases for various malignancies. Presently, he directs a toxicology division within the Drug Development Unit at NUS. He has published more than 40 papers in internationally recognized journals and has won multiple university-level teaching excellence awards. Rossarin Suwanarusk is a Research Scientist with the Malaria Immunobiology Group at the Singapore Immunology Network (SIgN), A*STAR. She graduated with a PhD from Mahidol University (Medical Technology), Thailand, in 2003. Suwanarusk is well known for her research on the pathobiology and drug-resistance markers of Plasmodium vivax. She has published more than 30 articles in international peer-reviewed journals, including Nature, Science, Blood, and Journal of Infectious Diseases. Hwee-Ling Koh is an Associate Professor at the Department of Pharmacy, National University of Singapore (NUS). She graduated with a PhD from the University of Cambridge (United Kingdom), as well as with a BSc (Pharmacy) (Honors) and MSc (Pharmacy) from NUS. She is a registered pharmacist with the Singapore Pharmacy Council. She has been teaching and carrying out research on traditional Chinese medicine and medicinal plants at NUS for more than 15 years. Her research areas include quality control and safety of botanical products, and the study of natural products and medicinal plants as potential sources of lead compounds of novel therapeutics.